Rooftop Ventings will look good on your game table and provide a nice cover for your miniatures. This set includes 3 pcs. 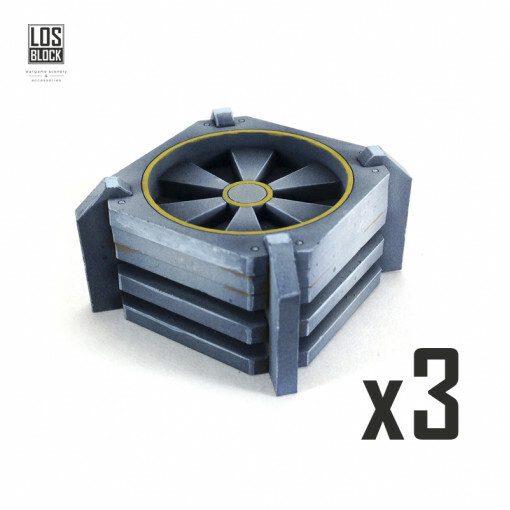 These scenery items represent Tech-Coffin Markers from Infinity The Game. This 4-pie..
Billboards come with a removable pedestal and can also be mounted on any 3 mm thick ledge like build..
Set of 3 containers. Each container is locked up safely on the other and will never fall in the h.. 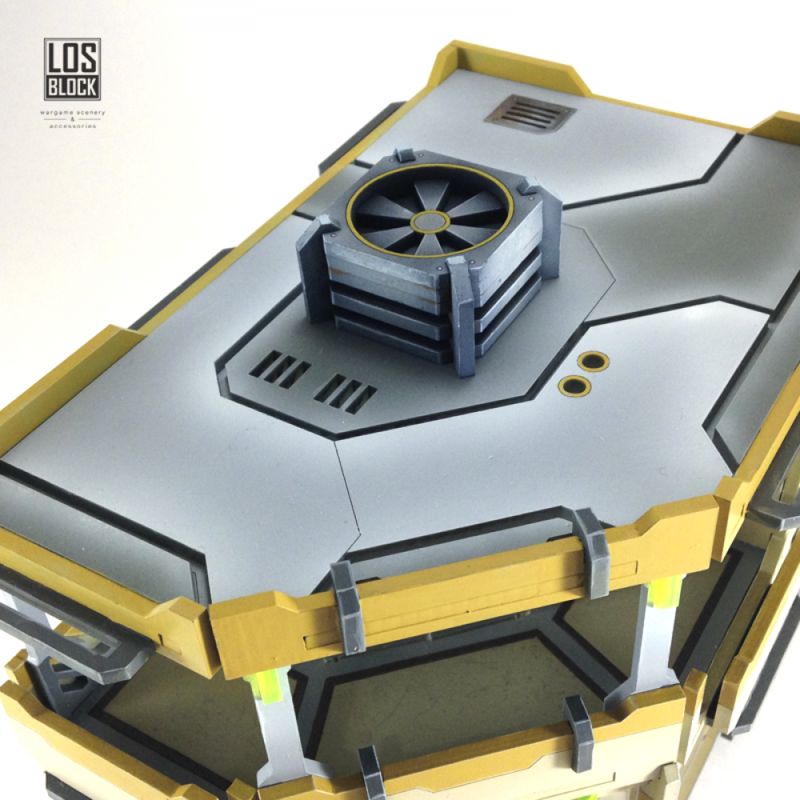 These scenery items represent Supply Box Markers from Infinity The Game. This 6-piece..
A set of 4 large crates. Sizes: 40 mm * 40 mm * 40 mm Material: HDF This set is..
A container with 4 ladders. Each container is locked up safely on the other and will never fall i..
A set of 10 small crates. Sizes: 25 mm * 25 mm * 25 mm Material: HDF This set i.. These scenery items represent Panoply Markers from Infinity The Game. This 3-piece set wil.. These scenery items represent Antenna Markers from Infinity The Game. This 5-piece set wil.. These scenery items represent Console Markers from Infinity The Game. This 4-piece set wil..
Time to green up your gaming tables. If you don't want to turn your cozy cityscape into a brushwood .. These scenery items represent Beacon Markers from Infinity The Game. This 6-piece set will.. Bus Stop – a nice and cozy place for those who need to wait out an acid rain or a hail of fire. A gr.. It is hard to imagine a thing more omni-purpose than a bench. You can seat on it and read a boo..